Firstly, let’s get to know what a multilingual website is. The term multilingual refers to multiple languages. Thus, a website that provides content in more than one language, is called as a multilingual website. The site offers content in the native languages of its target audience. However, in many cases, only a few sections of the website need to be available in a language other than what’s called a primary language. Now the question is, why do you need it? What’s so special about a multilingual website? Well, today, the very first point of contact between a business and the customers is a website. Also, for the businesses that have a target audience around the globe, the website needs to have a lot more than an enticing design, flexible code, responsive layout etc. It needs to have a multilingual content. Wondering why? That’s because it works wonders for your business. Not many businesses employ this approach towards customer centricity at present. So, designing a multilingual website can actually provide a competitive advantage to your business and help it stand out from the crowd and helps rank you higher in SERPs as well. A multilingual website is a localized version of the original website for each target language audience. By targeting information to a given audience we will have a much better impact and we will address clients’ information needs more adequately. As a matter of fact, a large number of internet users prefer to browse websites that provide a personalized experience and a multilingual site does the needful. Since it enables you to connect with your target audience, the probability of more and more website visitors flowing in rises. A heavy internet traffic means increased lead generation opportunities which further means a higher probability of conversion. Also, a consumer is three times more likely to convert when you offer your services using their native language. This is because they tend to connect more easily when you approach them in their native language. 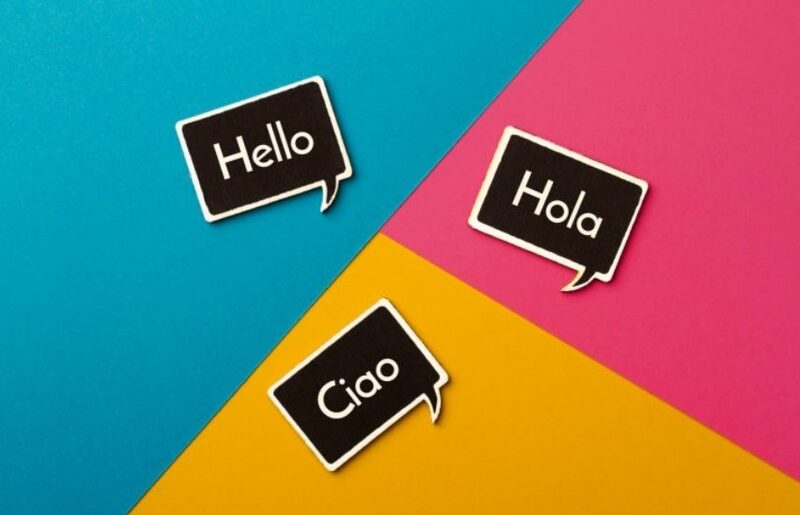 Thereafter, it’s no brainer that a multilingual way is highly effective in enhancing customer experience. Thus, a multilingual website design actually gives you highly satisfied customers.